This entry was posted on November 23, 2014 by OtomeJunkie!. It was filed under Her Love in the Force, OtomeGames, Uncategorized, Voltage and was tagged with android, anime, appstore, ayumu, Ayumu Shinonome, choices, Daichi katsuragi, game, gaming, Goto, gree, Hideki, Hideki Ishigami, hiro, hyogo, Hyogo Kaga, Ishigami, itunes, Kaiji, manga, Mizuki, My Sweet Bodyguard, otome, otome game, otomegame, OtomeGames, romance sim, romancesim, rpg, seiji, Seiji Goto, Shusuke Soma, Soma, sora, spinoff, Subaru, Toru Kurosawa, videogames, visual novel, voltage, walkthrough. You convince me to buy his story! I was hesitating but now… I don’t :). Thanks for the review and the walkthrough. I only played Goto’s story and I really liked it. It was sweet ><. 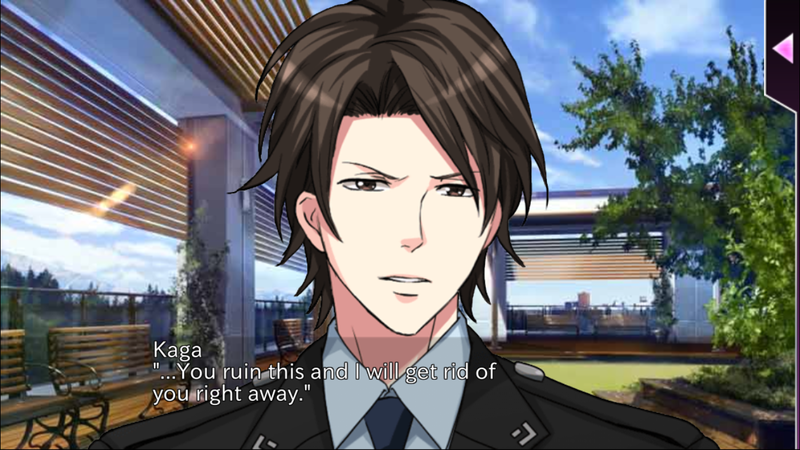 HyogoKaga he is dreamy, can’t wait to see what happens next.